However, through the mirror of time, a bunch of adrenaline dudes came along and decided whatever the goodies to restore this beautiful tradition. Having united under a threatening name of the Karovas Millkshake, they went on a trip in search of the ‘Holy Grail’ of the modern age. Let us keep our eye on them and hope the mystery of ‘les karophas mielkshag’ will be inevitably unriddled. Even though I’m not moving much into the doldrums of this cold autumn on this world side, that doesn’t mean I can’t enjoy a little bit of sunny vibes now and then. It’s almost hard to believe I’ve been sitting on this one for far too long ( an year, actually). I wanted to write of about them more than once, but the words never seemed right so I opted for something easier. I dunno what it was specifically, I think was the challenge of 7 on 7 from my friend William Long on FB which made dropped bunch of bands on my brain , maybe, but this one kicked right my brain this weekend again. 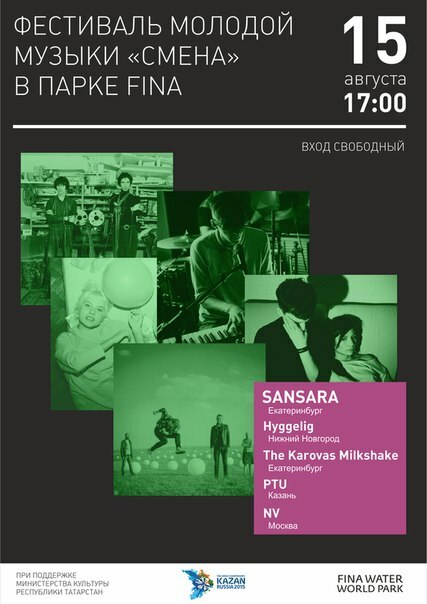 Back since 2010 I wrote about the Ekaterinburg band The Karovas Milkshake and their dusty lo-fi psych garage rock , some loyal fans of wearethelastbeatniks, if any exist , may remember that their first EP was one of my favorite releases of 2010. Their debut full lenght , called In the Shade of the Purple Sun, contains more of the blast from their past releases, but with more late 60’s garage and psych than before. Their jams have a timeless quality about them, the sort of thing that could have been recorded in someone’s basement anytime from the late 60’s to now, and therein lies its charm. So, go to their bandcamp to listen In the Shade of the Purple Sun and any other releases you find on there., and if you dig, you could always buy digital versions, and see some details regarding CD, or vinyl up for sale through Groovie Records while you’re there. Awesome share! Love these guys! !